As in a Sunday morn, it is only fitting that we enter into the cathedral of libraries. 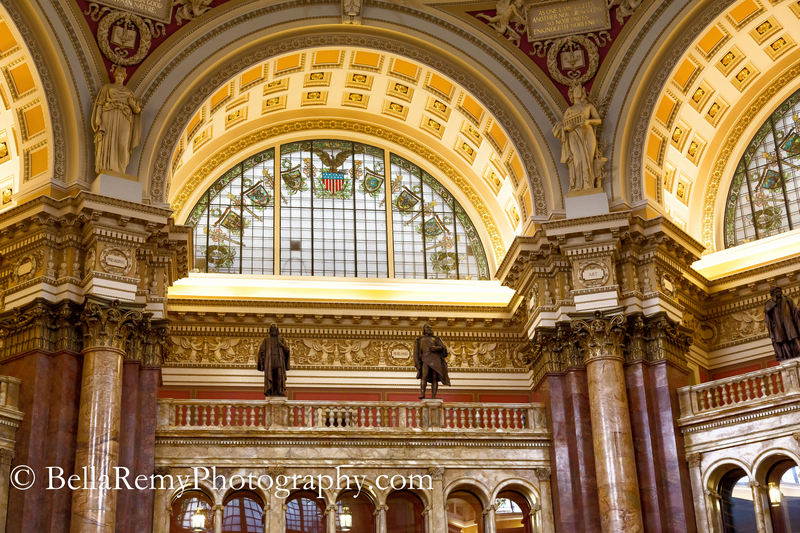 The Main Reading Room at the Library of Congress. 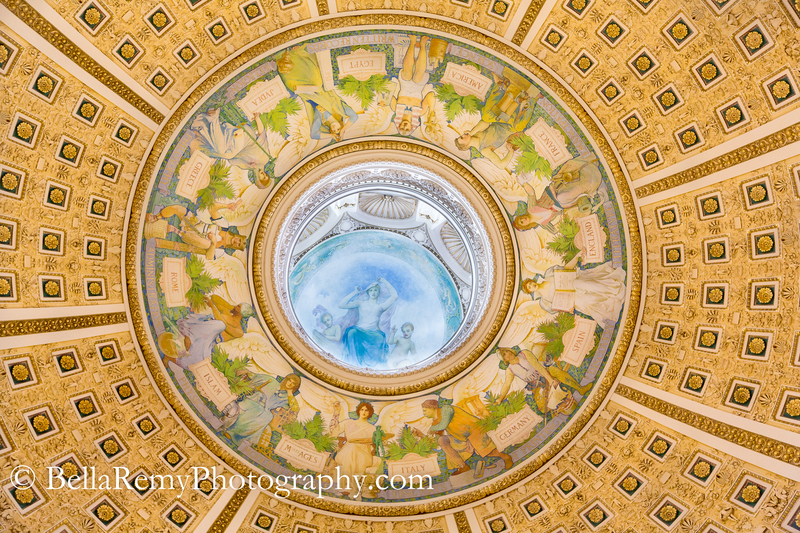 The painted dome of the Evolution of Civilization reigns high above this room of learning and knowledge. Following the walls down, representations of man’s knowledge continues. 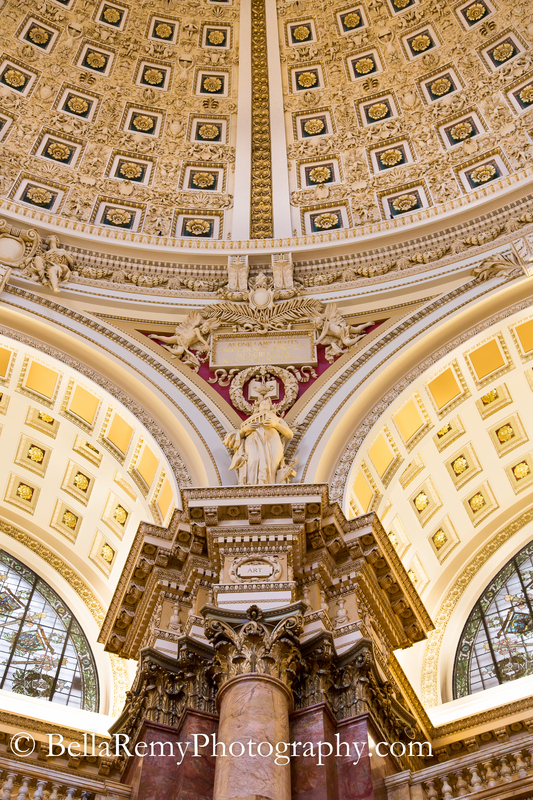 First with the symbolic statues of Art, Commerce, History, Law, Philosophy, Poetry, Religion, and Science. Within these areas of man’s knowledge, notable men in each area stand stoic, watching ever carefully over those that enter for enlightenment. Plato, Homer, Moses and Sir Isaac Newton are just a few of those that gave mankind the pathways to further understanding. It is for us to enter and begin our journey of discovery and learning from the tomes left by many before us. 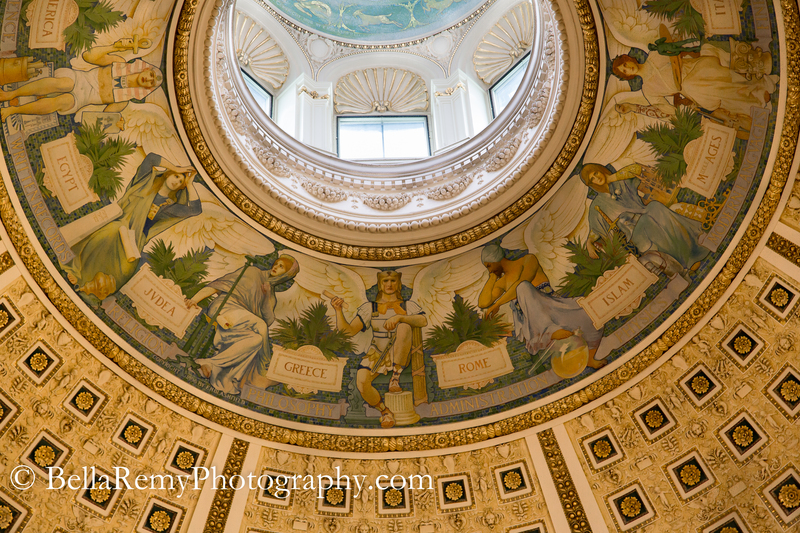 The wisdom of man is held within the pages of the millions of books held at the Library of Congress. We should all devote ourselves to life-long learning, ever searching, ever learning. The librarian said that the cards many times have more information about a book than the digital listing. Of course, there are plenty of computers with the inventory listed. I think the Jefferson Building is the most beautiful building in DC and is so often overlooked. Beautiful photos, especially of details like the card catalogue! You’re absolutely right. I had no idea until I went that day for the open house. I was completely amazed with the stunning beauty inside. Thank you so much for your kind words. I had fun walking around the stacks. I feel like I’ve visited there (and I’ve always wanted to)! Thanks for sharing your lovely shots. That is so wonderful that I am able to bring a sense of place to your home. The library is truly a work of art in itself. Perhaps one day you’ll have the chance to visit. I’d love it!!! Thank you for the inspiration. Such a perfect quote Rebecca. Have you ever seen the Twilight episode with the man that all he wanted to do is read books. At the end, he was the last man on earth with all the books surrounding him. Then…his glasses broke and he couldn’t see. So ironic. I’m so thankful I got lasix, but now need reading glasses. It would indeed be tragic. The library is truly remarkable, and the forethought, time and expense to create it is hard to imagine. Truly my pleasure to share this special place with you. Thank you again on many levels. I bet they wish they had our cameras back then. Man would I brag if I designed or took part in building that place, I mean I wouldn’t be able to help it!